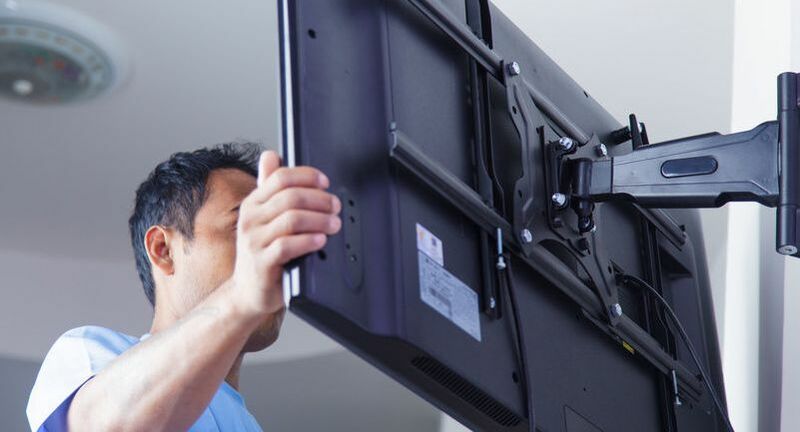 During a consultation, we'll check on the size of your television, the surface for mounting, and determine whether you have a bracket or need one. 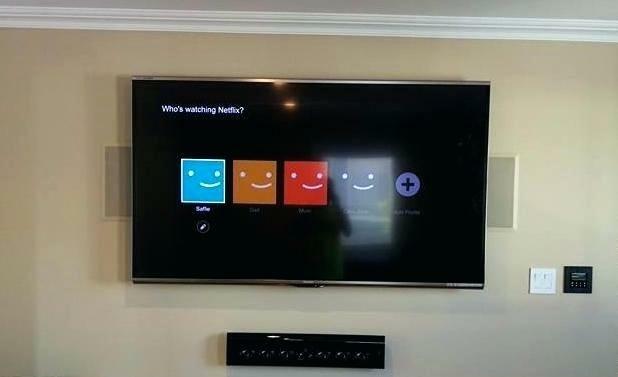 All of the hardware you may need is provided during installation. 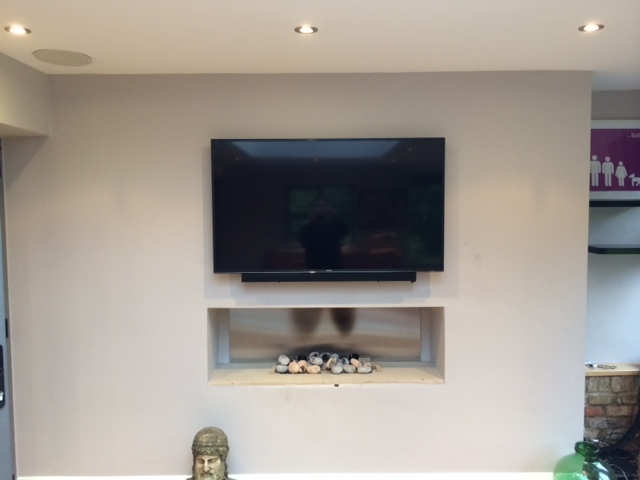 We'll even put extra effort into concealing the television wires behind the wall for a sleeker look. 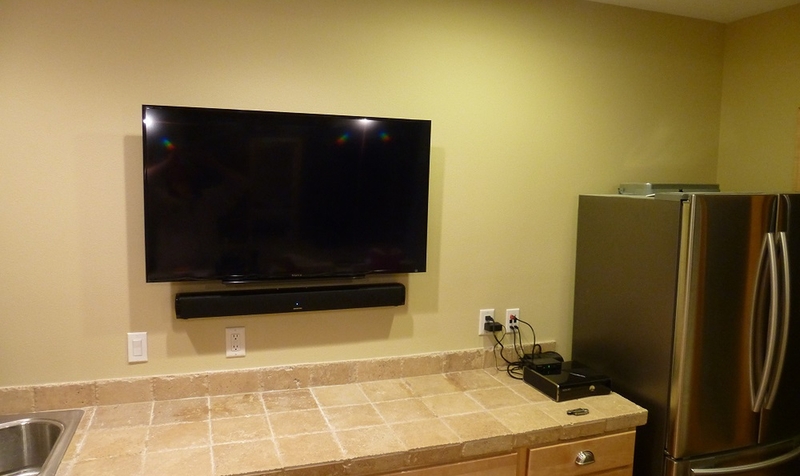 The final results of the bracket placement and wiring of your flat screen will be neat. 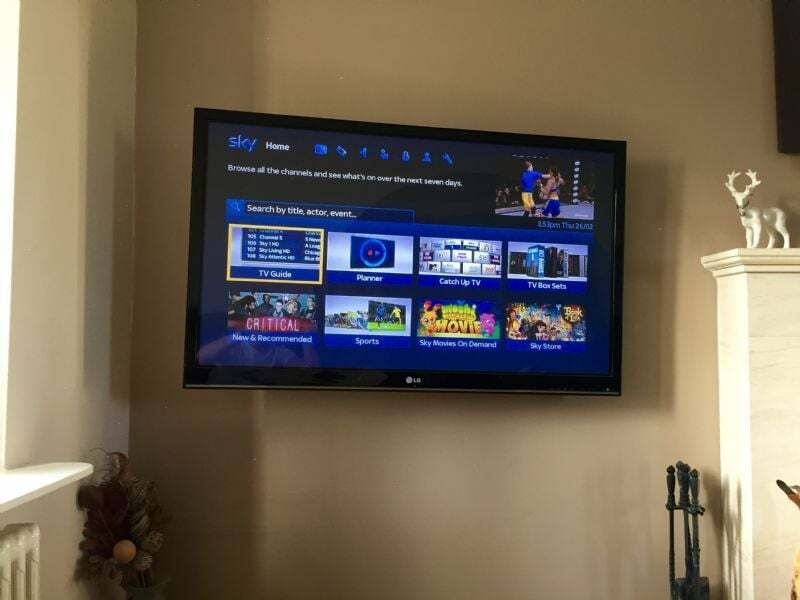 Our technicians keep high-definition multimedia interface (HDMI) cables stocked at all times, so you won't have to go to the store to buy a cable. 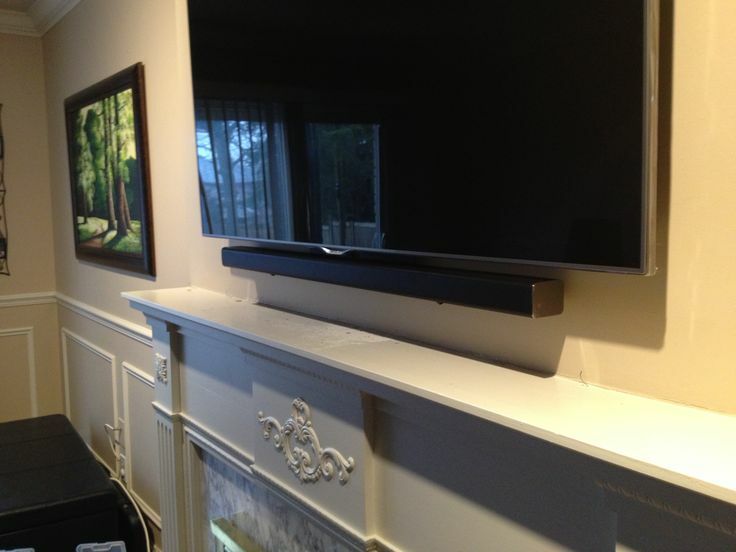 Plus, our cables vary between 3' and 100', so you can get the exact length you need. 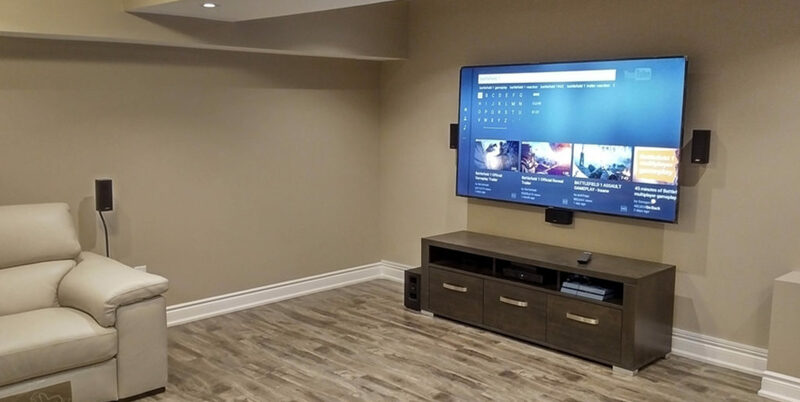 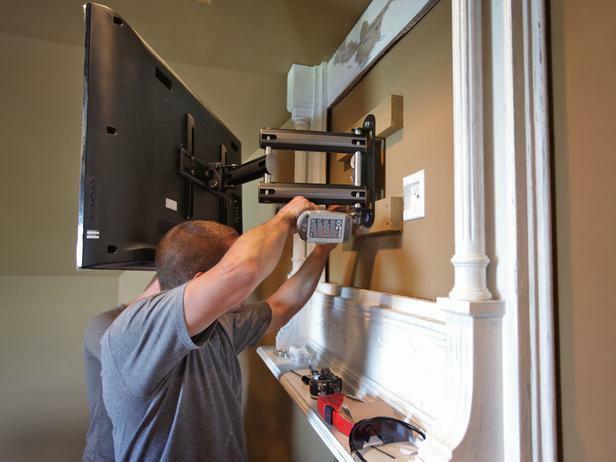 Our technicians will have all the proper tools and everything they need to make your TV mount installation project look as neat and professional as possible. 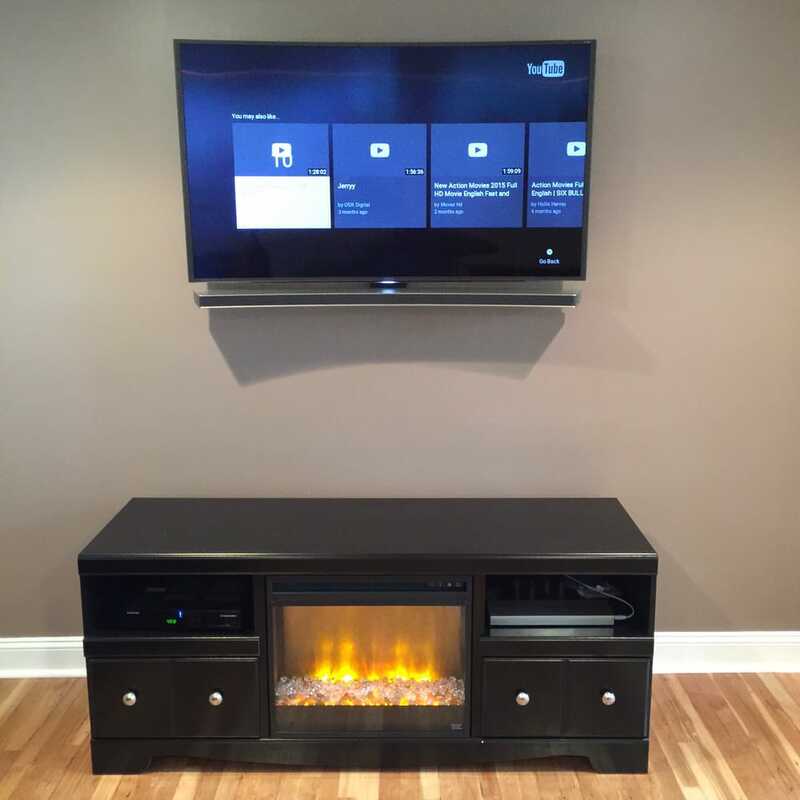 All of our services are available at a flat fee rate. 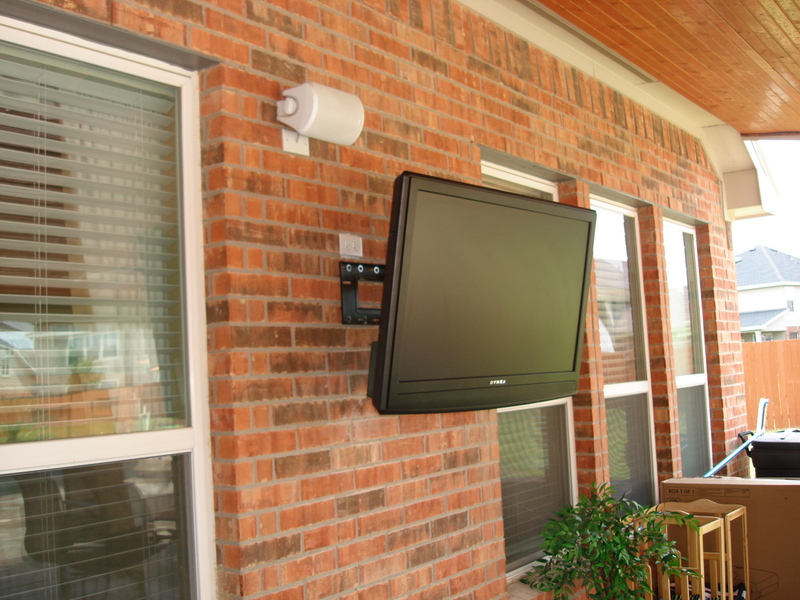 We offer tilting, flush, and slim or low-profile brackets and full motion brackets. 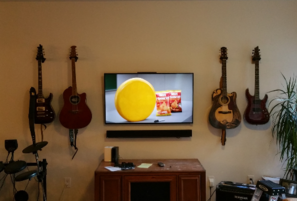 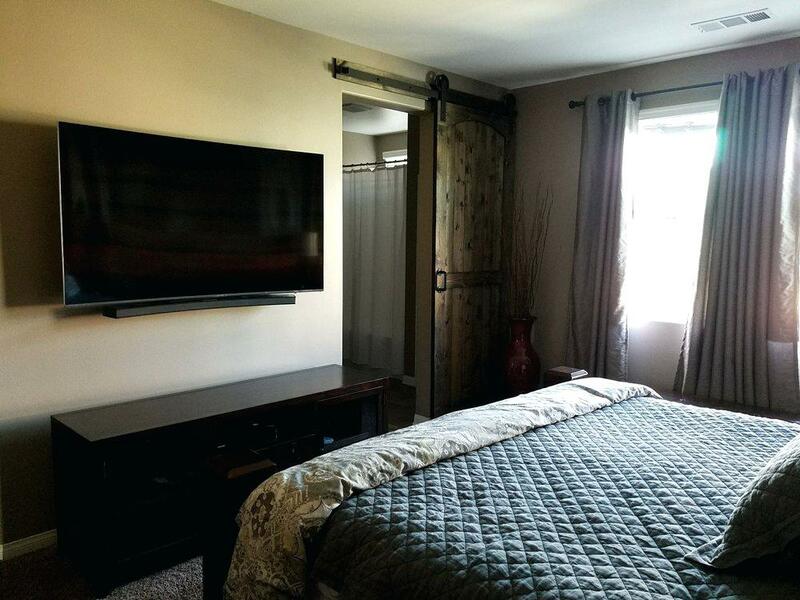 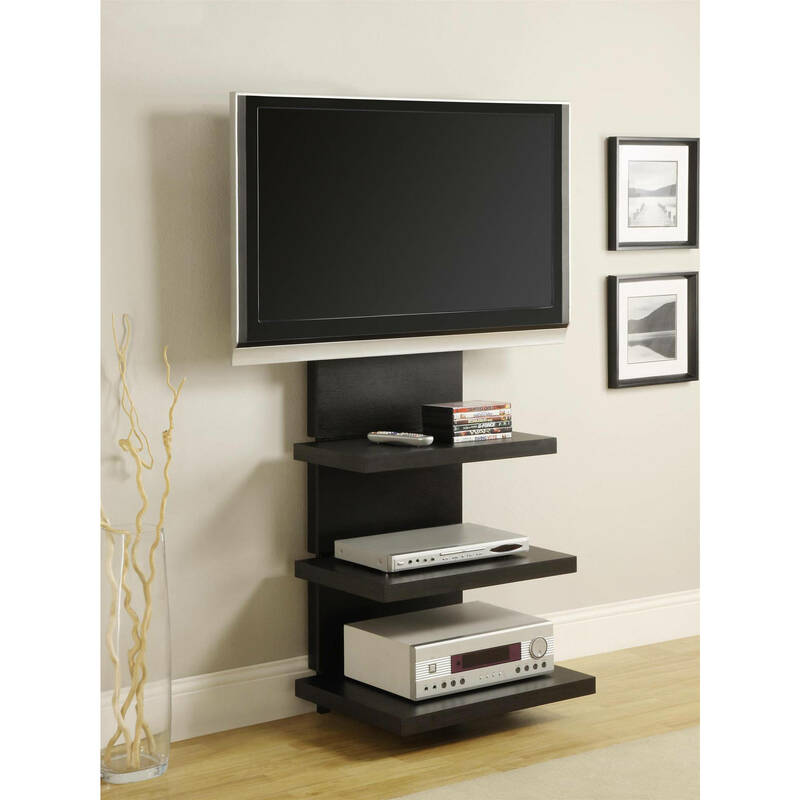 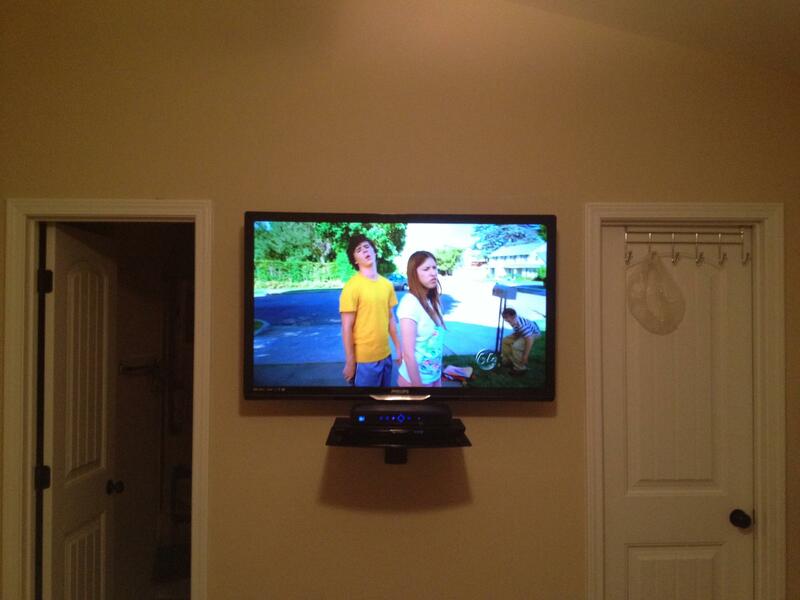 Our wall mounts can hold televisions from 22" up to 120", and our brackets can hold from 32" up to 80" televisions. 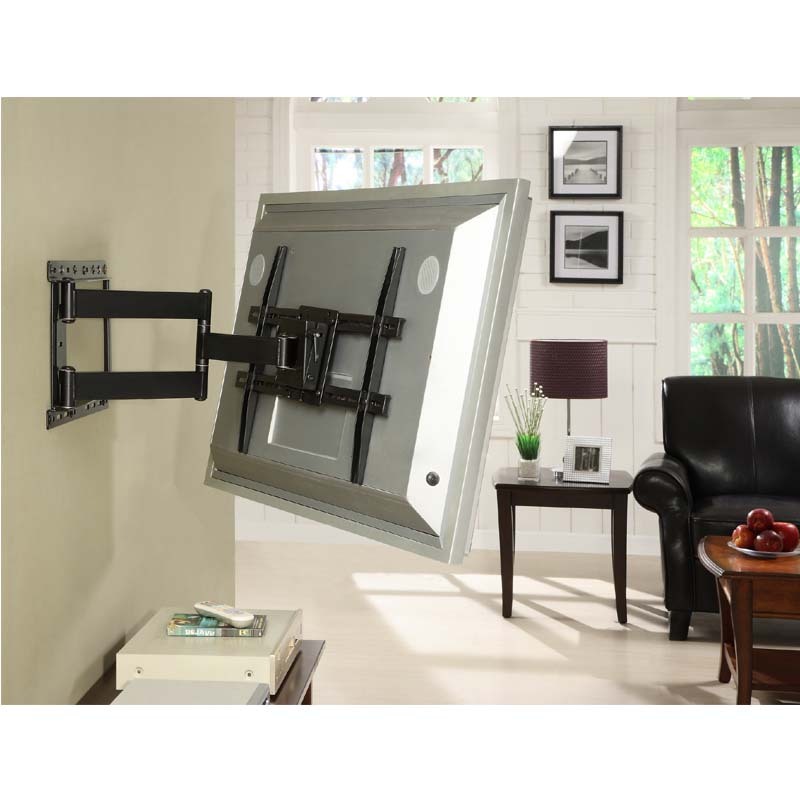 The wall mounting hardware ranges in price from $49.99 to $129.99. 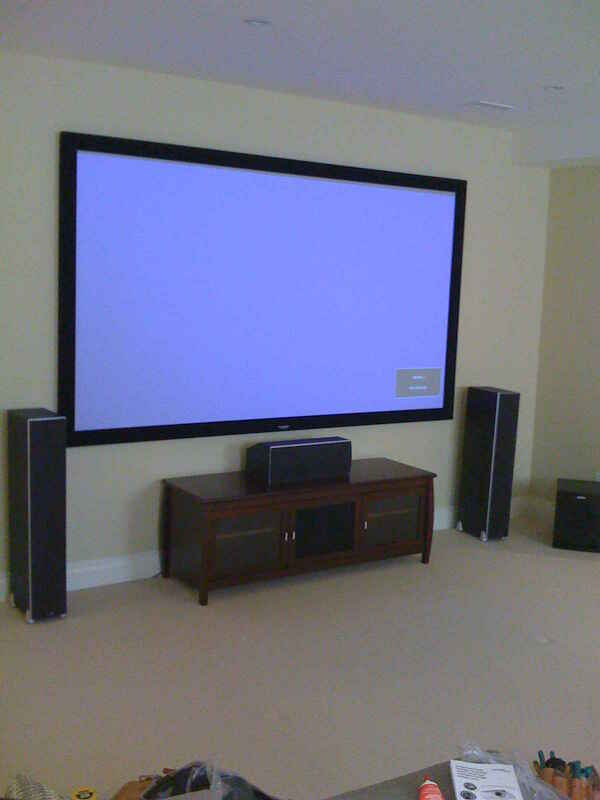 All of our techs are fully certified and trained. 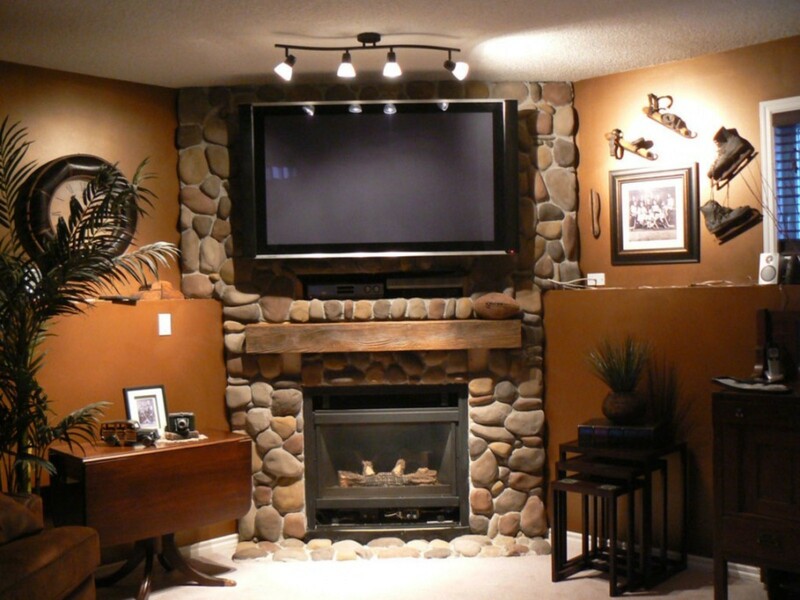 We will show respect to your home and make sure you are informed of the entire process along the way. 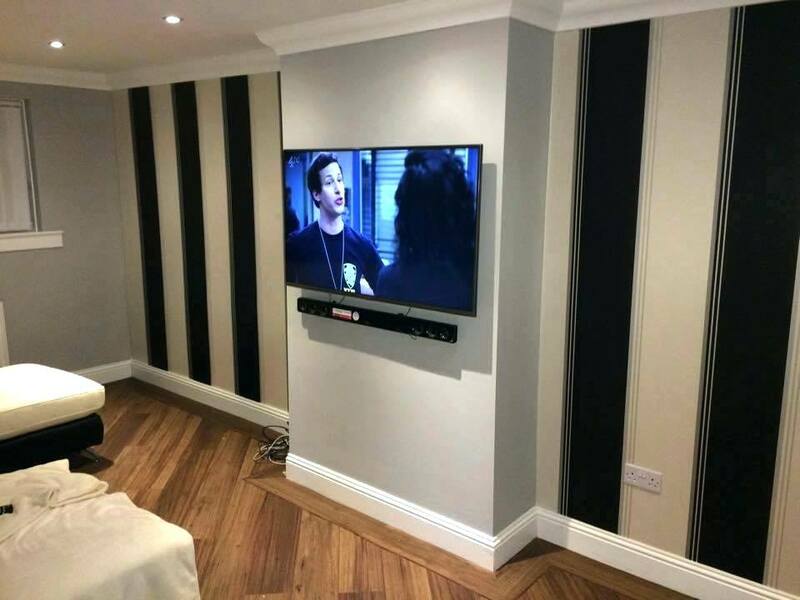 Enjoy a Two-Year Quality Guarantee on all of our work! 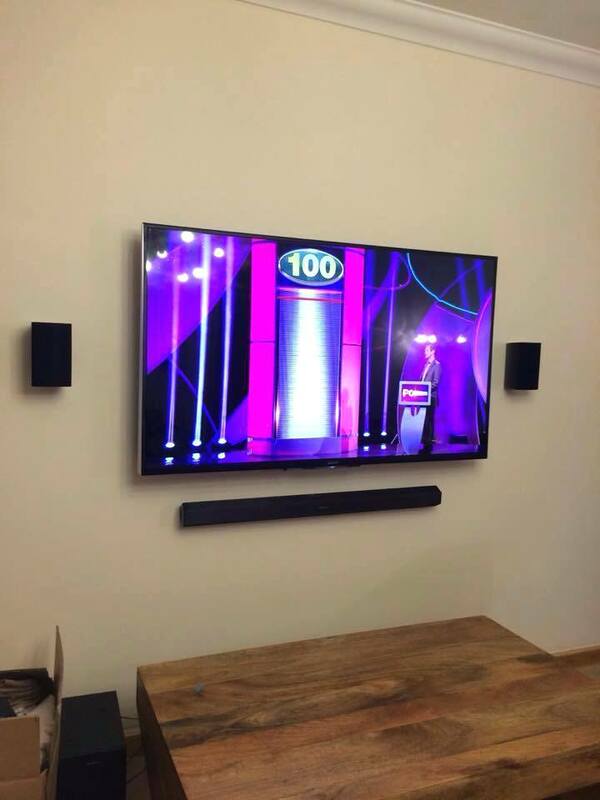 We conceal and hide all those ugly wires in the wall! 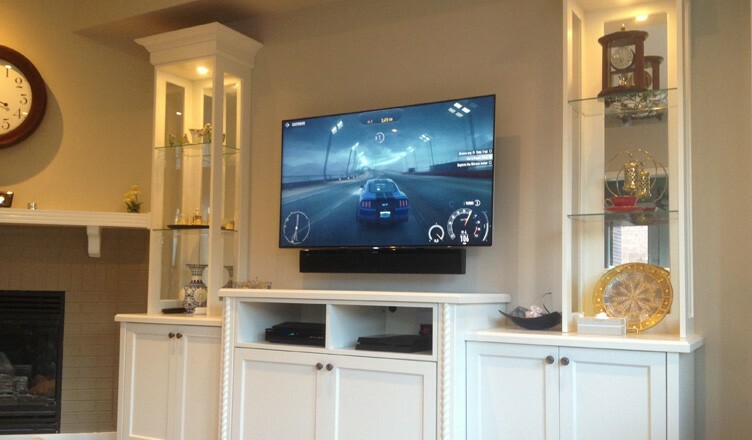 A large television just doesn't look right when it's sitting on a TV stand. 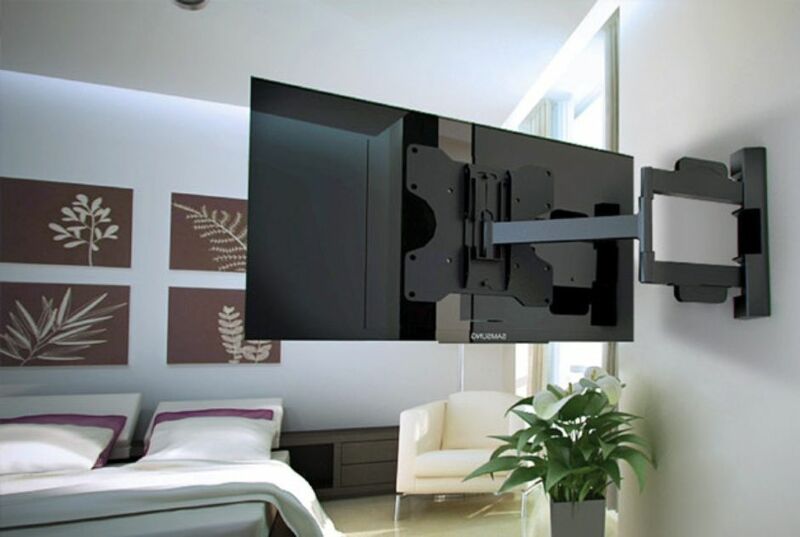 Modern flat screens are meant to be mounted up on the wall, almost as if they were floating on air. 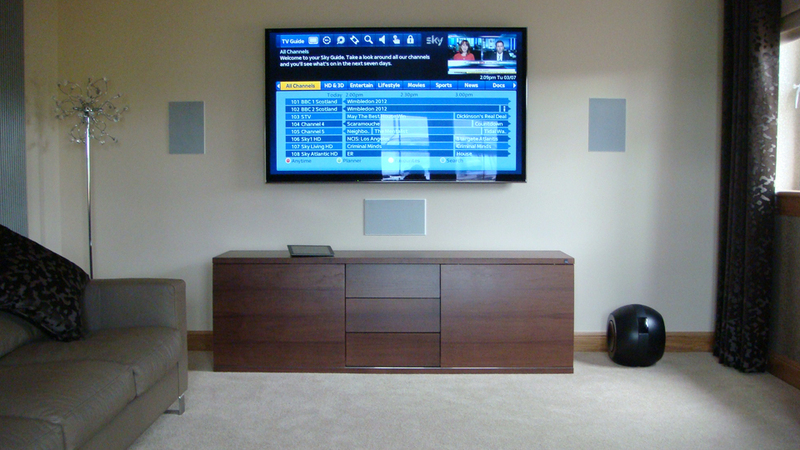 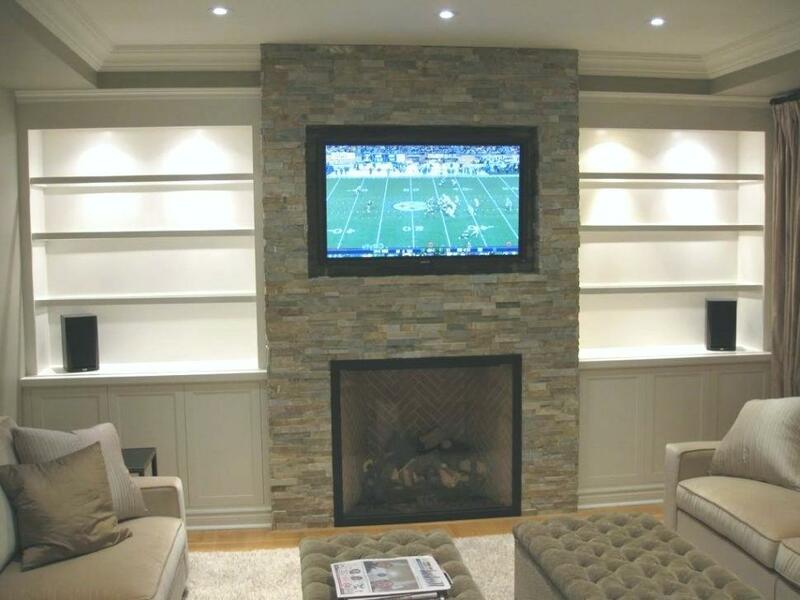 Achieve that cutting-edge look with TV Mounting Services. 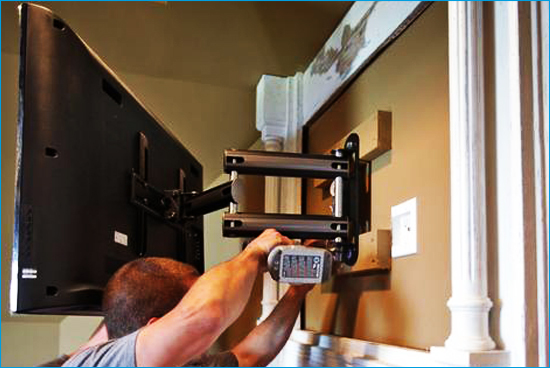 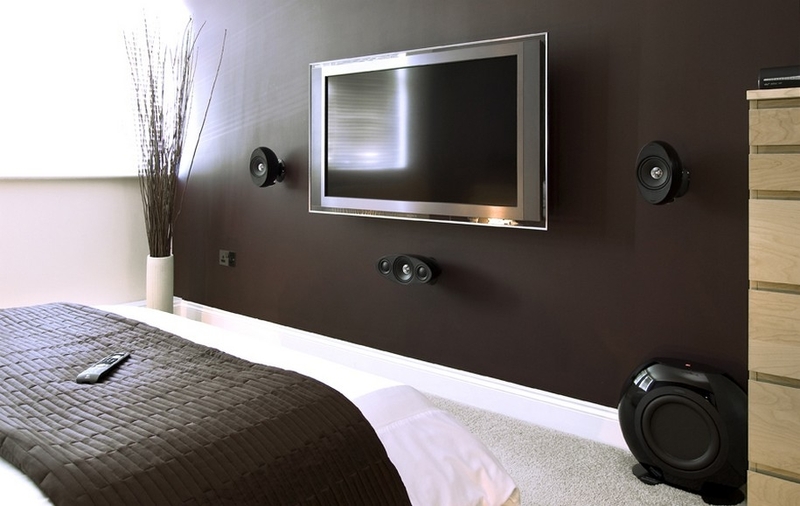 Our certified technicians can identify the best wall mounts for you and use them for secure TV installation on the wall. 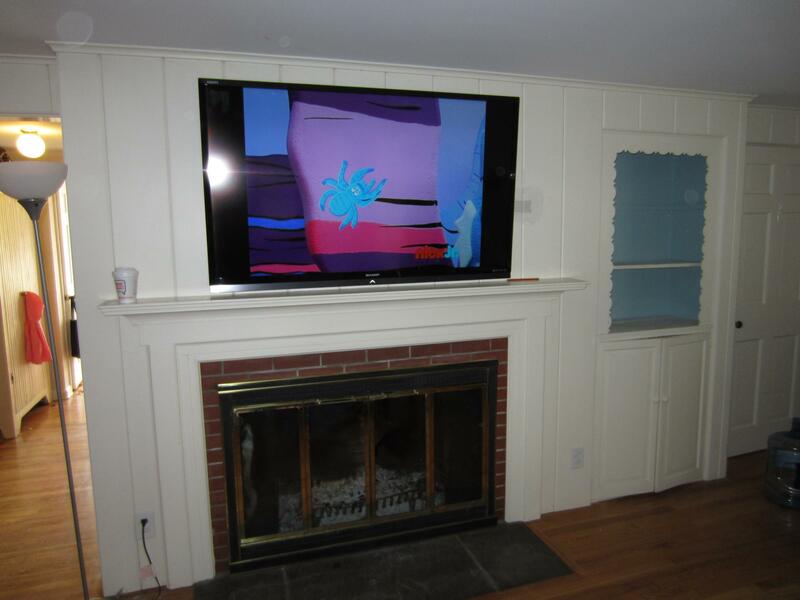 We provide free estimates for all of our customers. 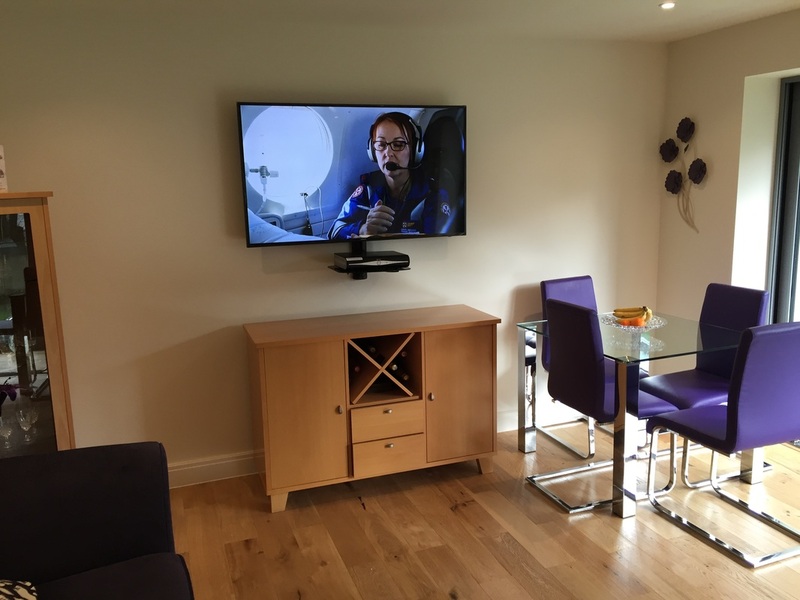 Don't feel like the effort of properly setting up your television? 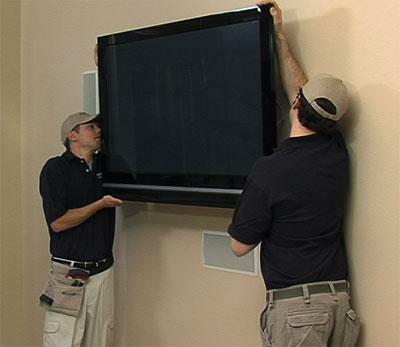 Let our technicians take care of the flat screen installation process. 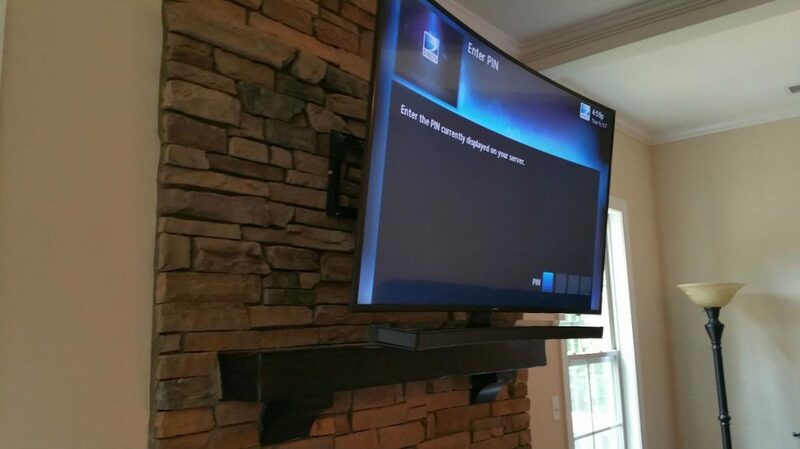 We'll look at your space and TV to come up with the best ideas for mounting your flat screen. 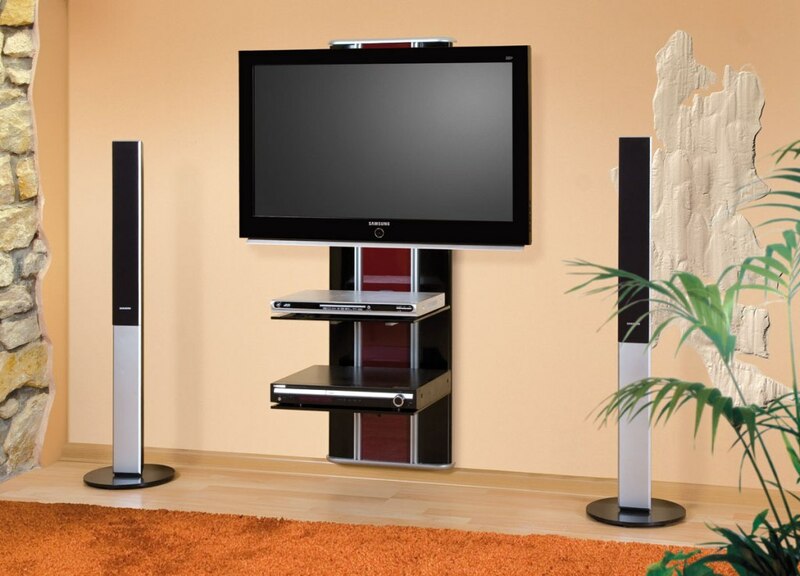 Your options may include tilting, flush, and slim or low-profile brackets for an ultra-flush look. 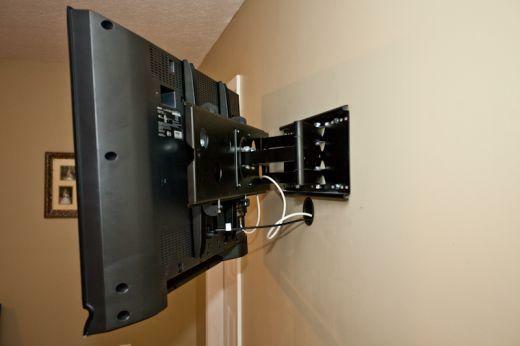 Give your living room a sleek, polished look by hanging the television with wall mounts. 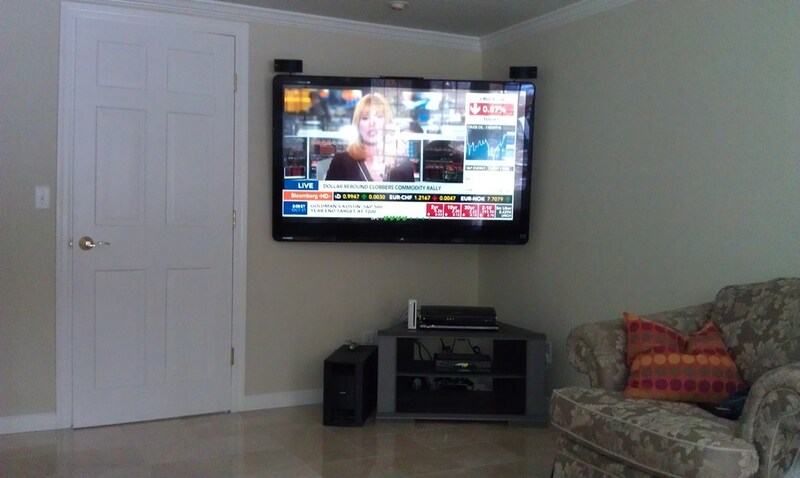 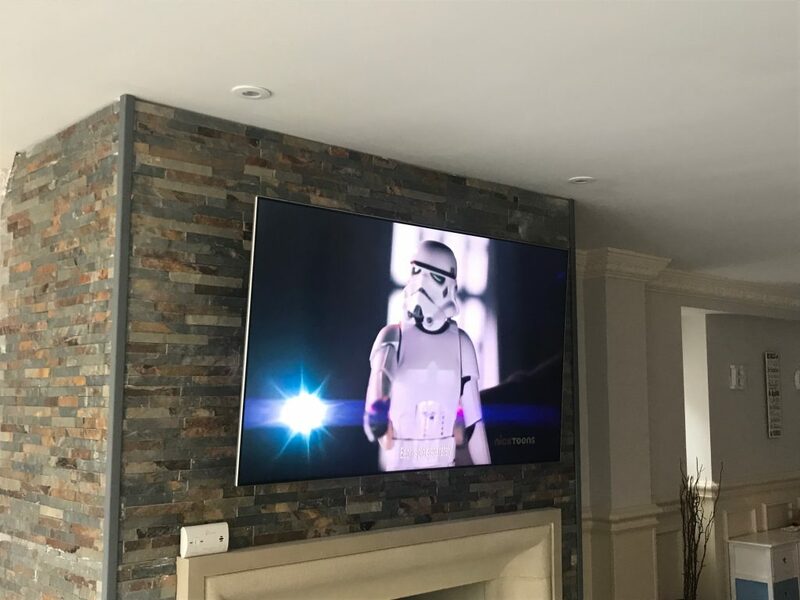 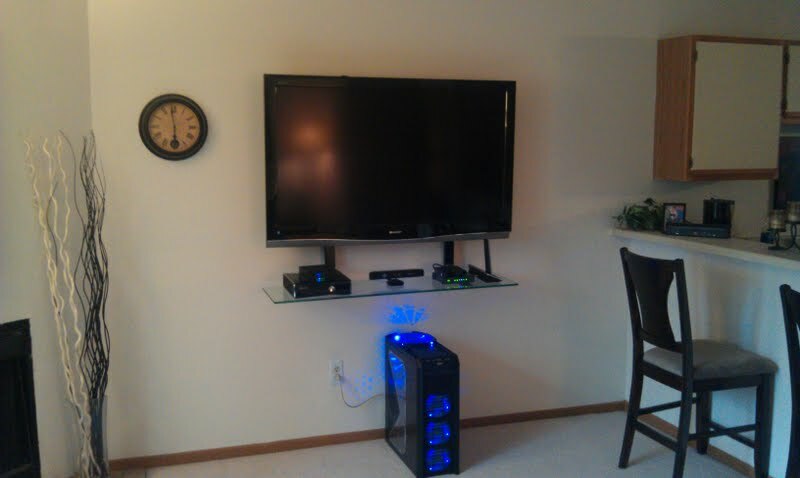 TV Mounting Services helps customers in the New York City area, New Jersey, and Connecticut, with complete TV mounting and installation. 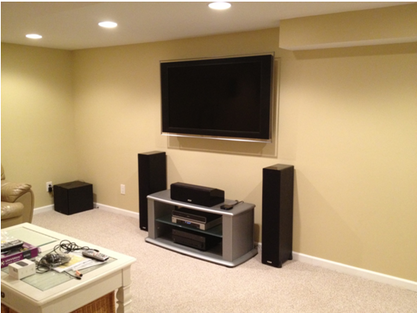 Our trained and insured technicians can also wire up the system and conceal wiring behind the walls. 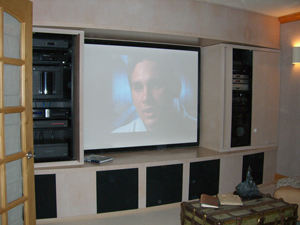 Our founders established the company in 2004 and have been working in TV installation for over 15 years. 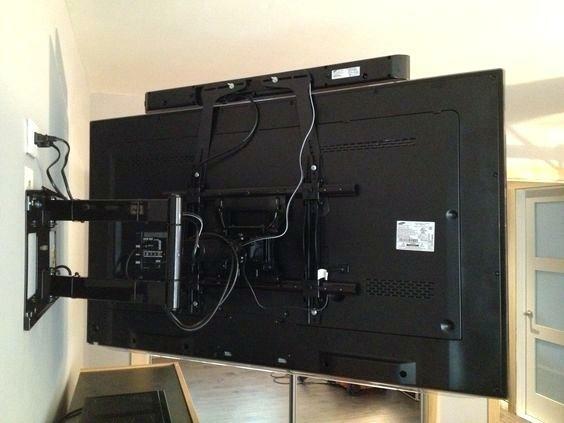 We are fully insured, so you can rest easy in having someone else work with that expensive television set. 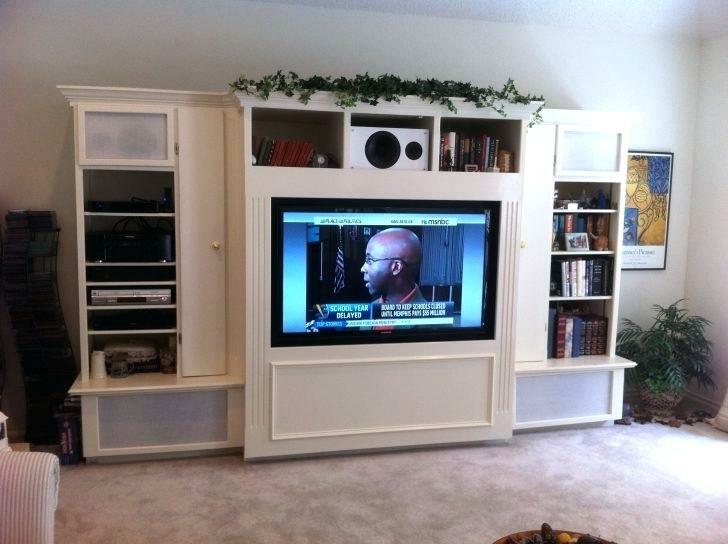 As a local company, we're reliable and strive to remain affordable. 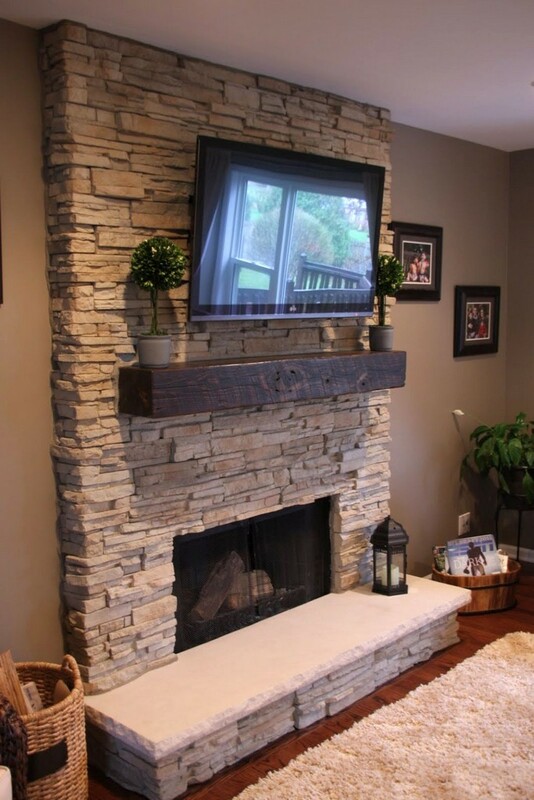 Give your new television a place of honor on the wall of your home. 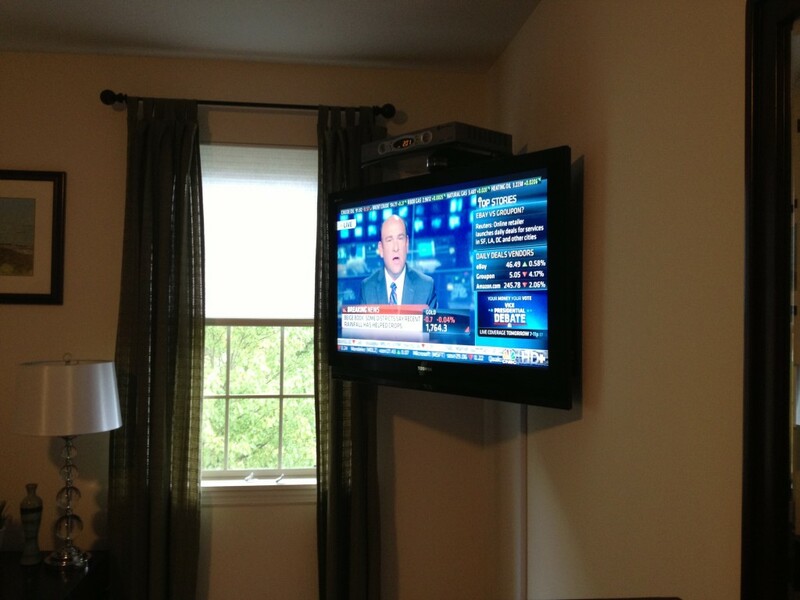 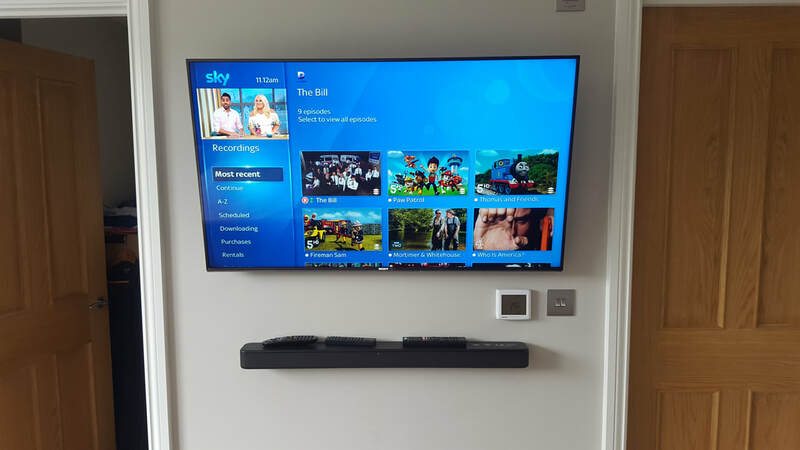 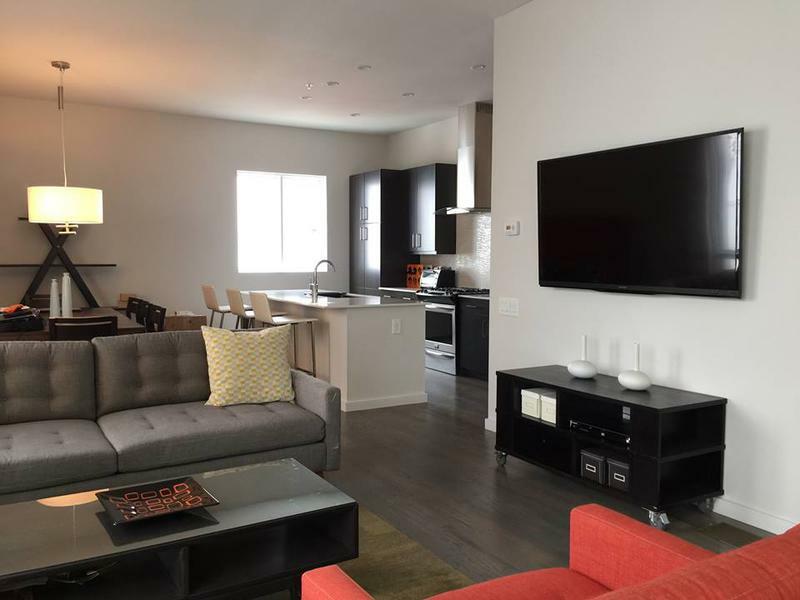 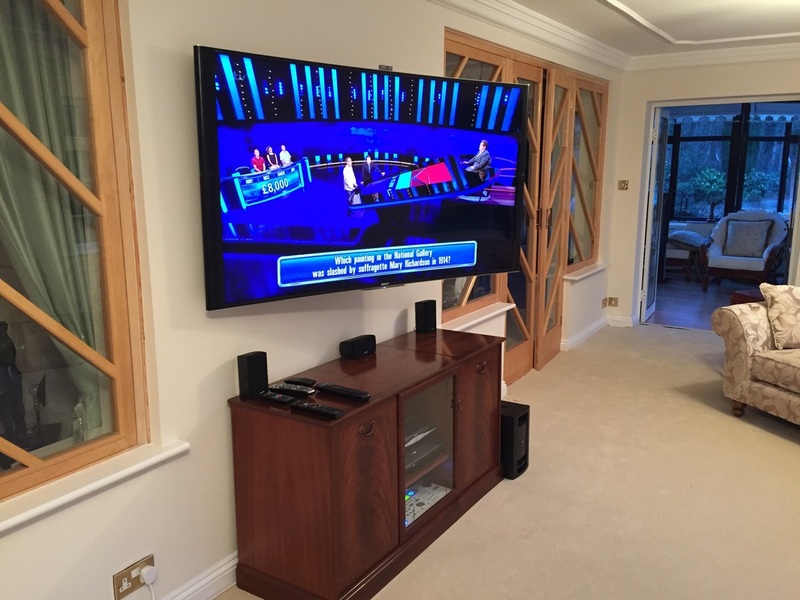 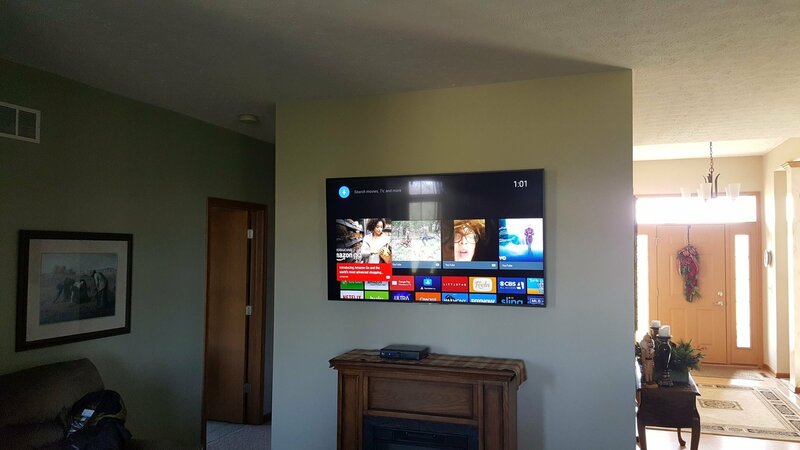 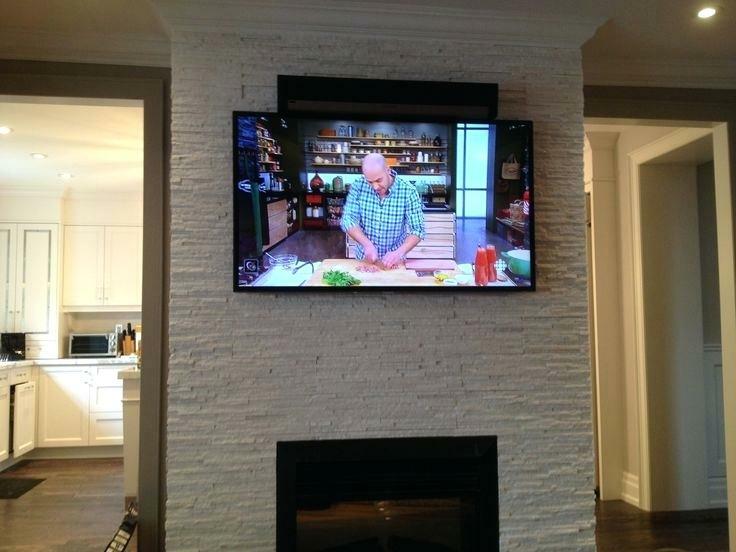 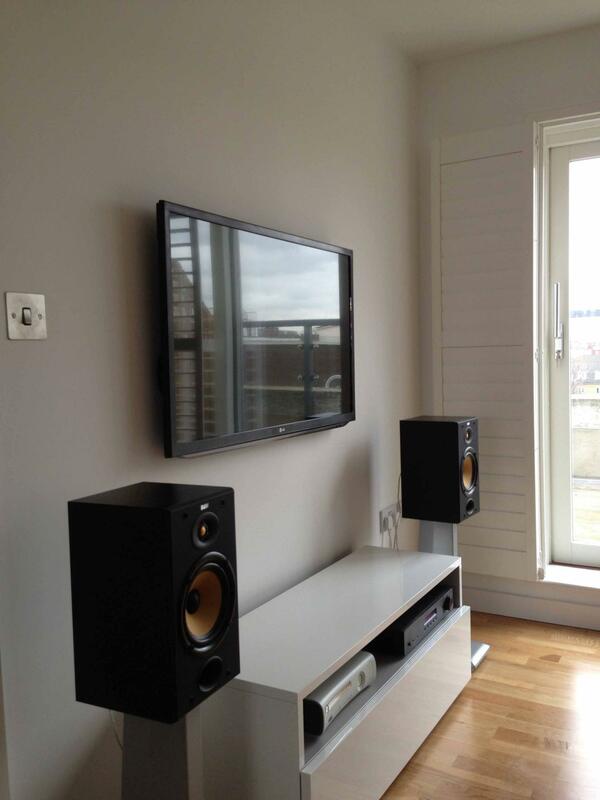 We help residential and commercial clients with TV mounts and installation services. 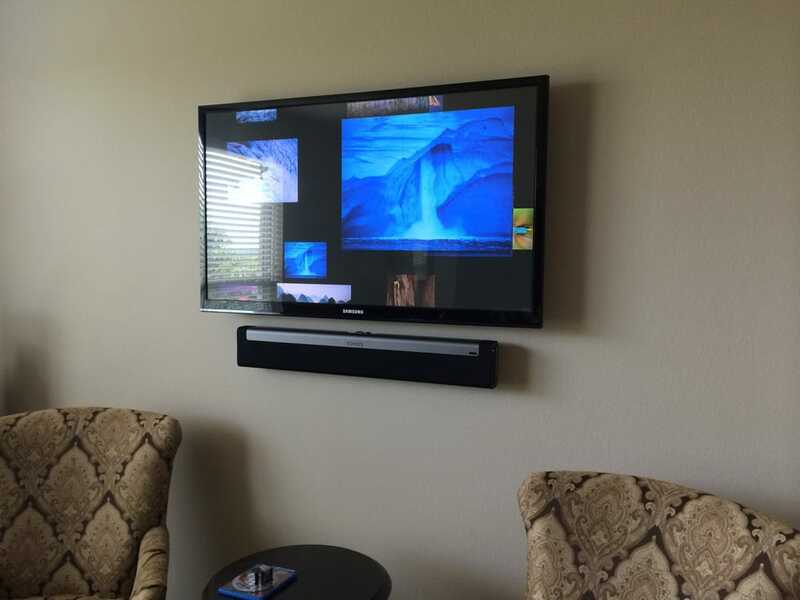 One of our certified mounting experts can come over to talk with you about your project and provide a free estimate. 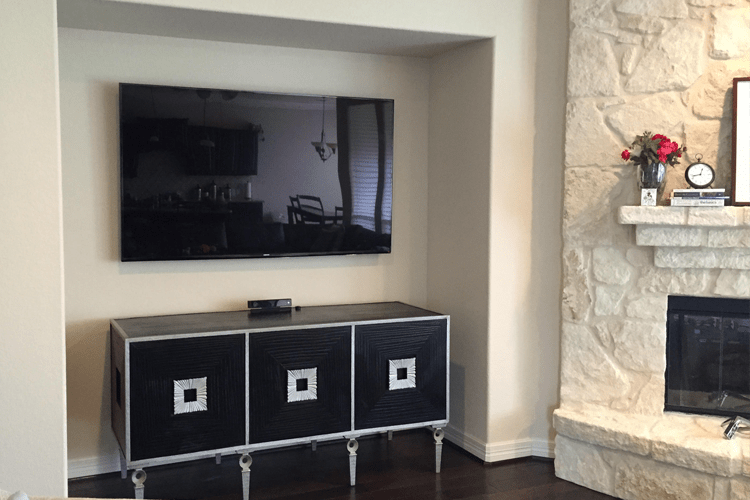 Fill out your custom TV mounting service project form! 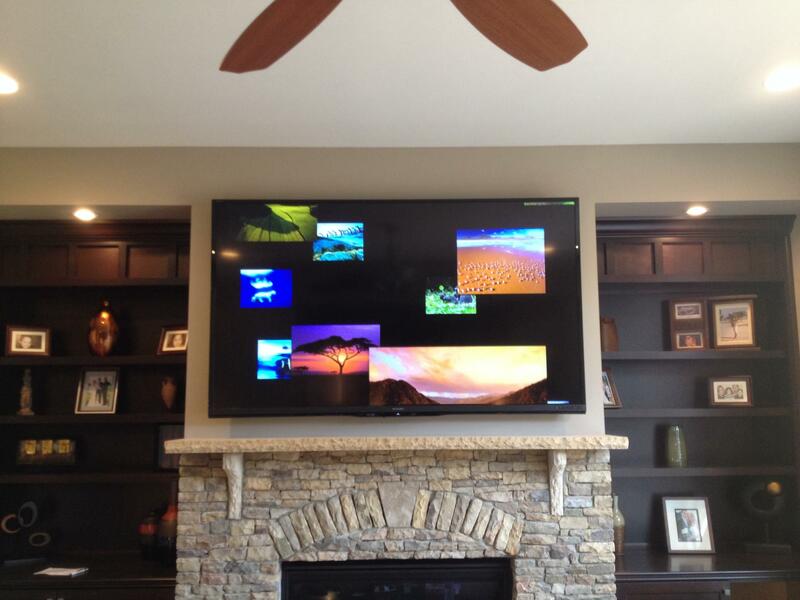 And we will contact you in under an hour to schedule your TV Mounting Project! 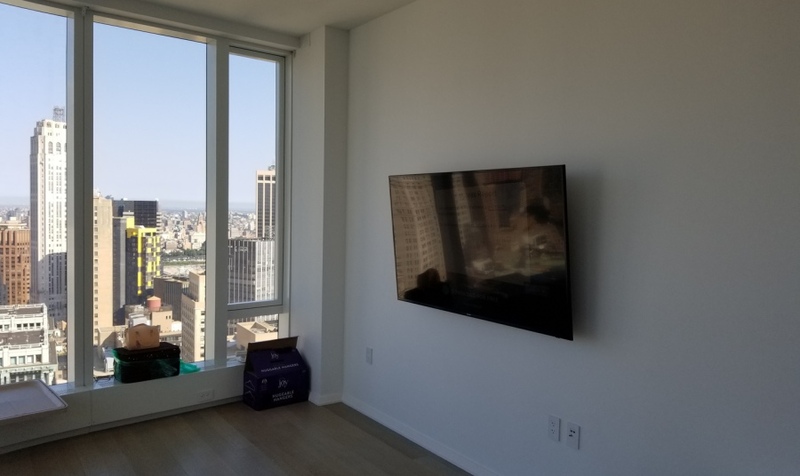 Serving NYC, Long Island, Westchester, New Jersey and Connecticut! 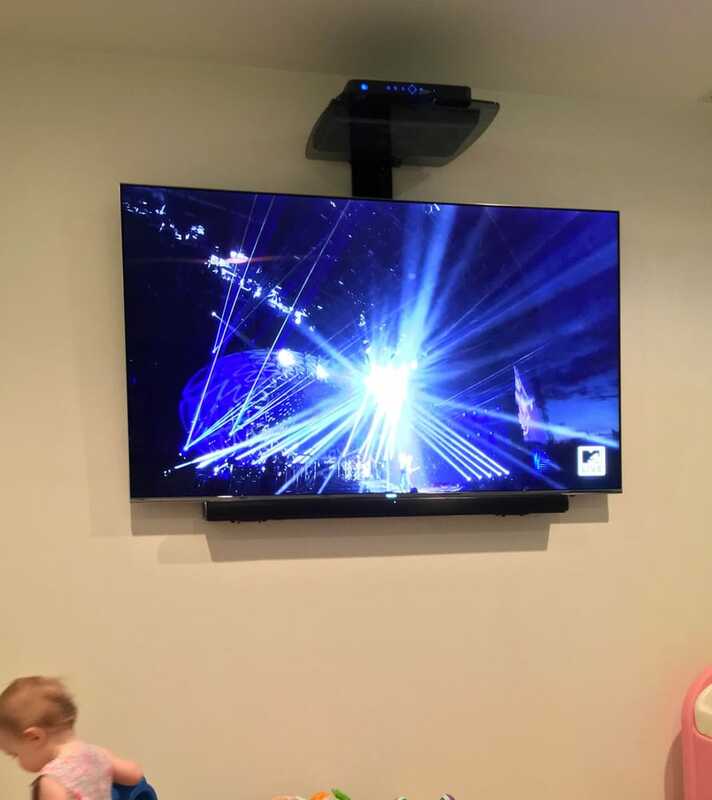 CLICK HERE NOW TO GET YOUR TV MOUNTED! 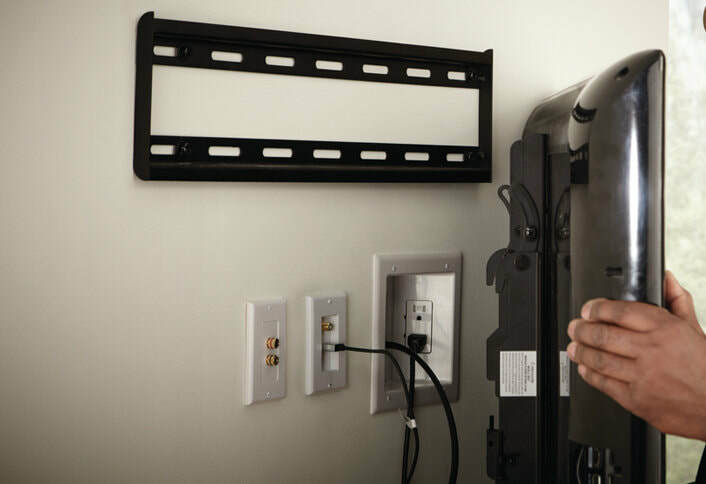 Call us now and get service today! 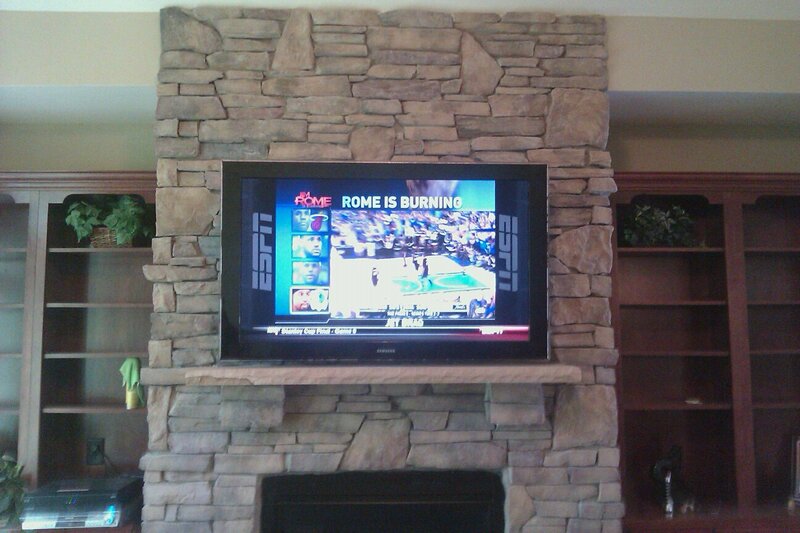 Get your TV Mounted today! 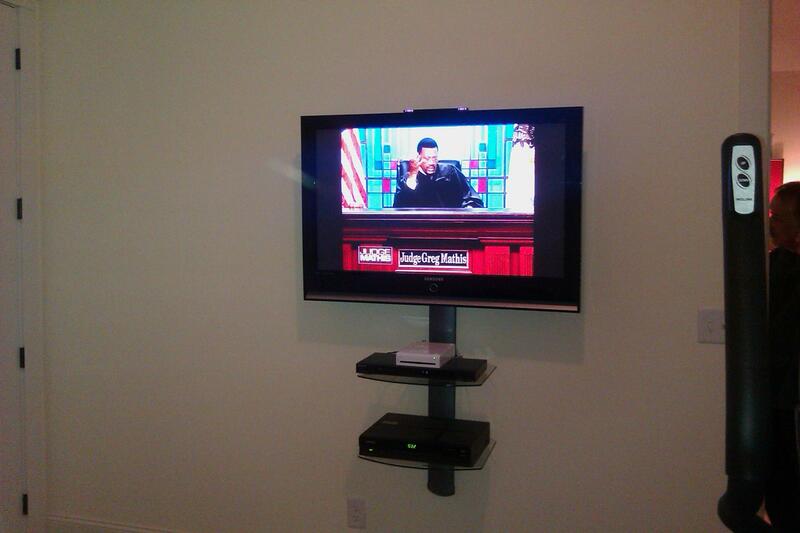 TV Mounting & Setup starting at $89!